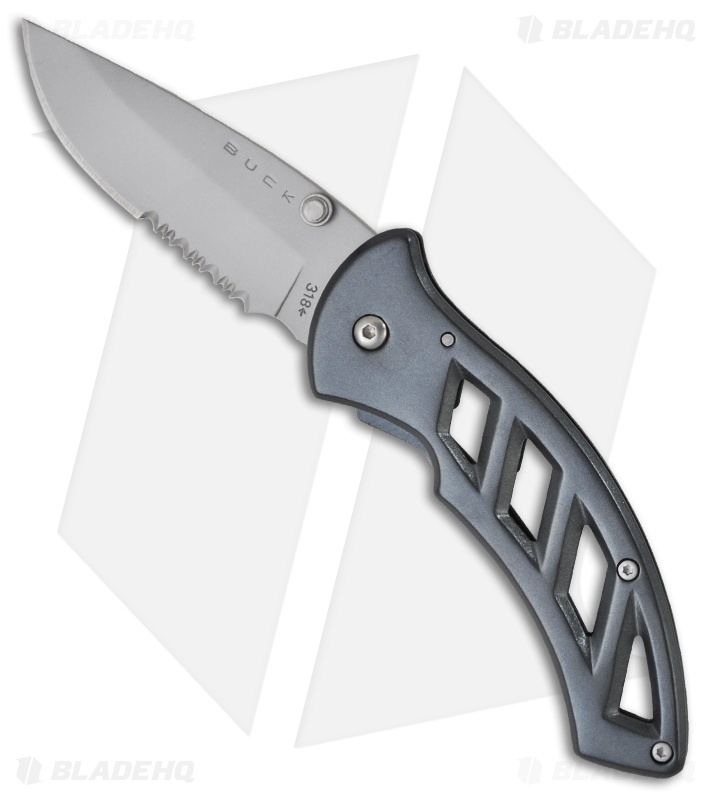 Buck Knives' Parallex 318 is a strong heavy-duty mid-size pocket knife, the larger brother of the Buck 316. The Parallex-2.8 has a bead blast finished stainless steel blade with a partially serrated edge to take on tough cutting needs. This Parallex features a skeletonized steel frame with a gray finish. 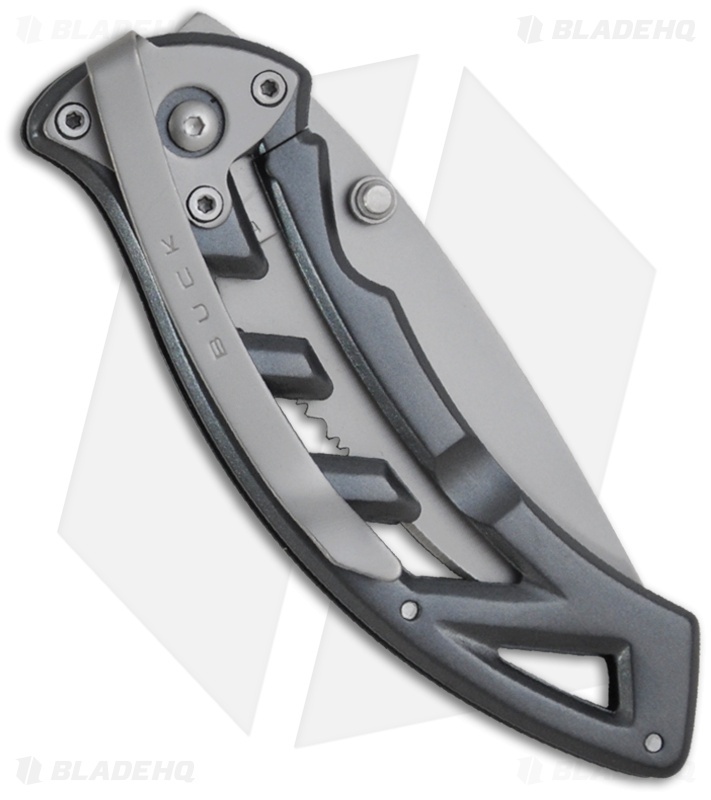 The integrated frame-lock is solid and sturdy and simple to release and the ambidextrous thumb stud allows one-handed opening too. Buck has designed the tip-down pocket clip to sit low in your pocket for comfortable carry (see picture above).